Your generosity goes a long way towards helping prevent child maltreatment and strengthening families. If you’d like to make a donation online, we’ve made the process simple. 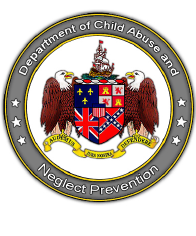 You can use the online donation to honor the life of someone special by designating the Department of Child Abuse and Neglect Prevention’s Children’s Trust Fund as a recipient of a tax-deductible honorary or memorial donation. Help us spread the message of supporting the prevention of child maltreatment by sharing our give flyer. The message should be clear: Prevention of child abuse and neglect is everyone’s responsibility. When you buy a Children’s Trust Fund specialty license plate, approximately 92% of the purchase price goes directly to fund community-based prevention programs in Alabama. These tags are available at every County Probate office and are tax-deductible. They can be personalized with any combination of six letters or numerals at no additional charge. 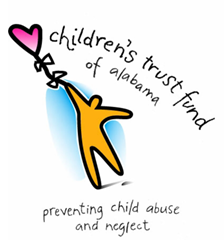 This year consider donating all or part of your State of Alabama tax refund to the Child Abuse Trust Fund. Over 85% of Children’s Trust Fund dollars go directly to fund programs that protect our children from abuse and neglect. This tax-deductible donation can be done by simply attaching Schedule DC to your state return and indicating the “Child Abuse Trust Fund” (1d) as your preference. Commemorate your little one’s special day with the gift of a Keepsake Birth Certificate. Choose from three designs at a minimal cost of $45. A portion of the proceeds benefits the Children’s Trust Fund of Alabama. Help support the Alabama Children’s Trust Fund while you shop online! By using iGive, you can shop with over 1,900 online stores offering deals and rates to save you money while also donating a percentage of the purchase to our agency.